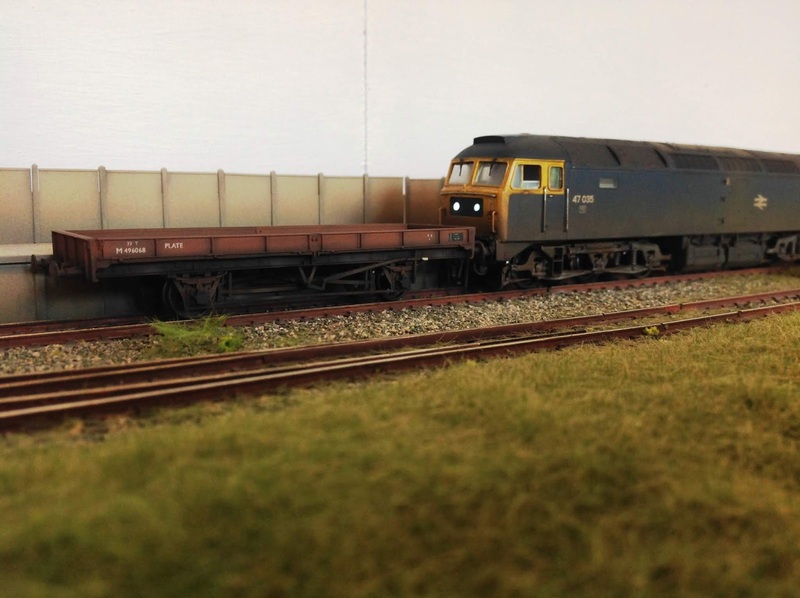 A few weeks ago I managed to finished off another wagon - this time a 22t plate wagon. 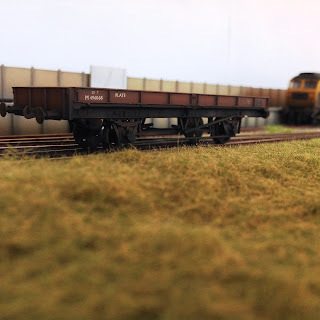 Work has been a bit hectic recently, so the little snatches of modelling time I get have been used to add more scenery to the layout. 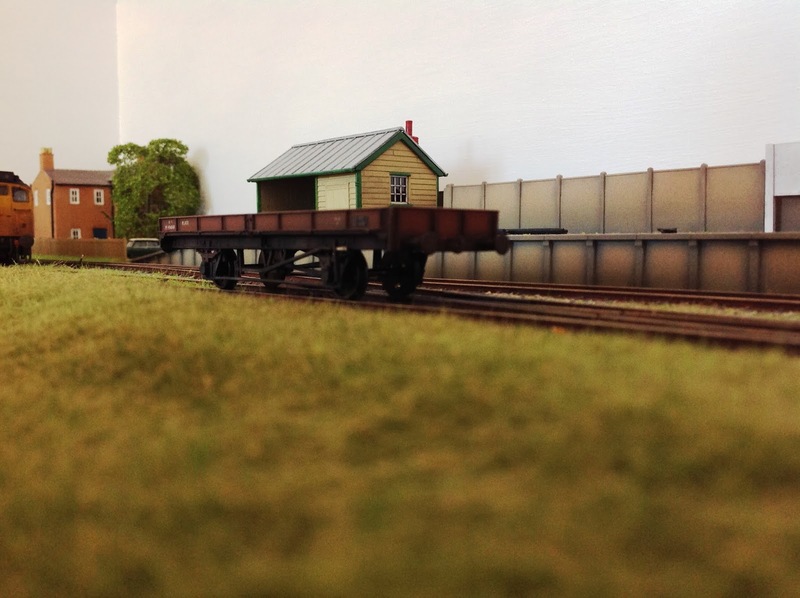 The layout is progressing nicely and I am confident I can finish it by the end of June, ready to (hopefully) visit some exhibitions. 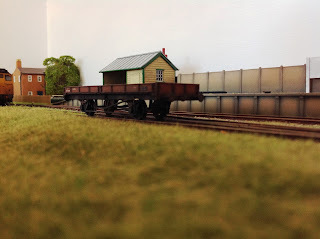 Plate wagon on the Charlton layout! So anyhow back to the wagon! This is the standard Parkside offering and I must say - (and this is being a big fan of Parkside) - it was a bit of a shambles of a kit! I think it must be an older kit, but I found it very difficult to build the wagon square. It must have been glued and then forced apart about four times, before regluing! 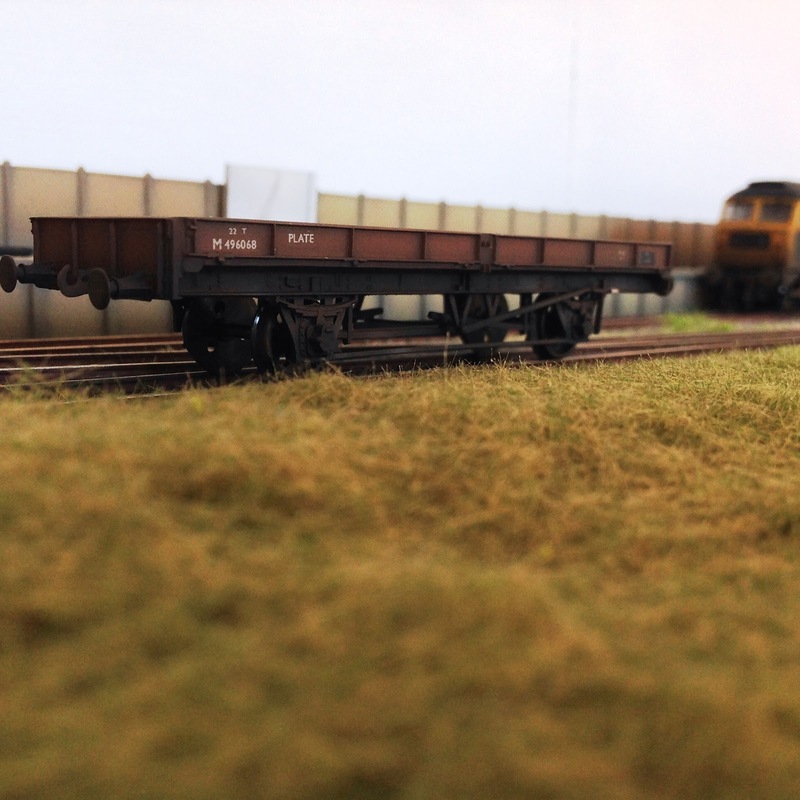 It has white metal buffers from Lanarkshire modelling supplies added and 3 link couplings. 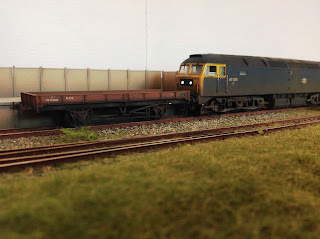 It has been painted as per usual via the airbrush and had CCT transfers added, with the data panel from Modelmaster. A couple more of the plate. wagon.